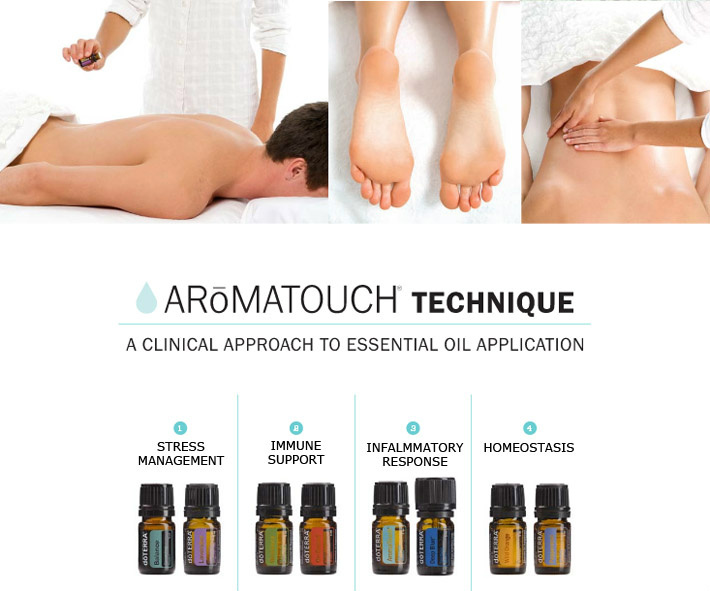 Reiki Whisperings is now offering the Aroma Touch! AromaTouch Technique is a clinical approach to applying Certified Pure Therapeutic Grade essentail oils along energy meridians and visceral contact points of the back and feet to help balance sympathetic and parasympathetic nervous systems of the body. First, try to keep moving. Walk around at a moderate pace and keep your arms swinging gently. Generally, a good stretch away from the direction of injury is helpful. Since shovelling involves bending forward, stretching backwards may help de-stress the area. A deep back bend feels best for me. Ice is a great treatment in reducing inflammation; I recommend 20 minutes on, 20 minutes off. CryoDerm, a medicated ointment containing arnica, menthol and methylsulfonylmethane (MSM), helps to manage both inflammation and pain. Thousands of back injuries occur at this time of year, but there are a few steps you can take to reduce your risk. For starters, shovel later in the day; morning is the most common time to hurt your back (due to the natural swelling of back discs combined with the inactivity of muscles during sleep, which results in additional pressure on the area and slower reaction times). Before starting, walk and swing your arms around to warm up your muscles. As we age, bone strength and density lessen and muscle tissue begins to weaken, making the elderly in particular more prone to shovelling-related back injuries. Most clients I treat suffer from lower back pain, with sciatic pain being the most persistent. Working on your flexibility and balance is key to preventing serious back injuries, and yoga, tai chi and qigong are excellent ways to work on staying both physically and mentally fit. These practices also help maintain and restore energy balance, which is directly related to chronic pain. When our energies are out of balance, chronic pain remains active, regardless of the actions taken to cure it. Reiki works on energy distribution, allowing an even flow throughout the body. When our energy is balanced and evenly distributed, the back pain you’re experiencing will gradually decline as the body heals itself. Reiki is very beneficial when combined with other medical treatments, such as chiropractic and acupuncture. Dr. Mehmet Oz connects people to important health issues on his syndicated television program "The Dr. Oz Show". On an episode of his program he stated "I know firsthand the amazing miracles we can achieve with modern Western medicine, but I also know that for centuries, people around the world have developed alternative therapies to treat the body, mind and the soul." Reiki energy healing, makes Dr. Oz's list of effective medical alternatives that boost overall health and wellbeing. Reiki has the ability to rebalance bodily and cognitive systems and serves not only as an instant potential pain reliever but also a long-term preventive therapy. It is a non-invasive complement to Western therapies and can help ease conditions like headaches, arthritis and high blood pressure. Dr. Oz points out that although the immediate reaction to a Reiki session differs from patient to patient, he states the properites of physical touch can not be understated. "I actually feel the heat," he says, tying this warming sensation to a feeling of reduced tension and body-mind harmony. 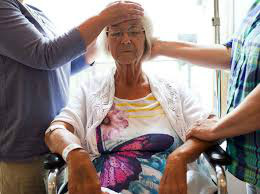 Reiki is becoming more and more popular as a complementary treatment in the areas of hospice, palliative and home care and treatments are used increasingly in hospitals for patients and staff, however you may have to request it in order to recieve it. Reiki helps through its calming effect and also helps to manage side effects, without compromising the medical treatment. Some cancer treatment centers offer Reiki as it has been shown to reduce the side effects of chemotherapy and radiation, restore energy, and assist the body to heal. Whether as an effective self-care tool or a new addition to medical treatments, Reiki benefits both patients and caregivers in health care and home health care scenarios. Your home, your body, is your temple, a very sacred place. Most of us are exposed to other people on a daily basis. Through this exposure, we encounter their energies and unfortunately, they may not be the most positive. Physical dis-ease and illness can manifest itself on an outer level before reaching our physical bodies. We can carry these negative energies into our homes, our place of work or whatever other physical space we are in. These physical locations can hold these old negative energies and they need to be cleared, to maintain and reclaim the peace of your home. 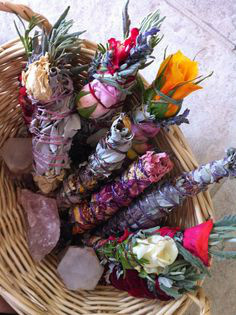 Drumming and the use of sage, along with your intentions will maintain your peaceful, tranquil home, your temple. Call Carla for more info and prices at 403 463-1331.